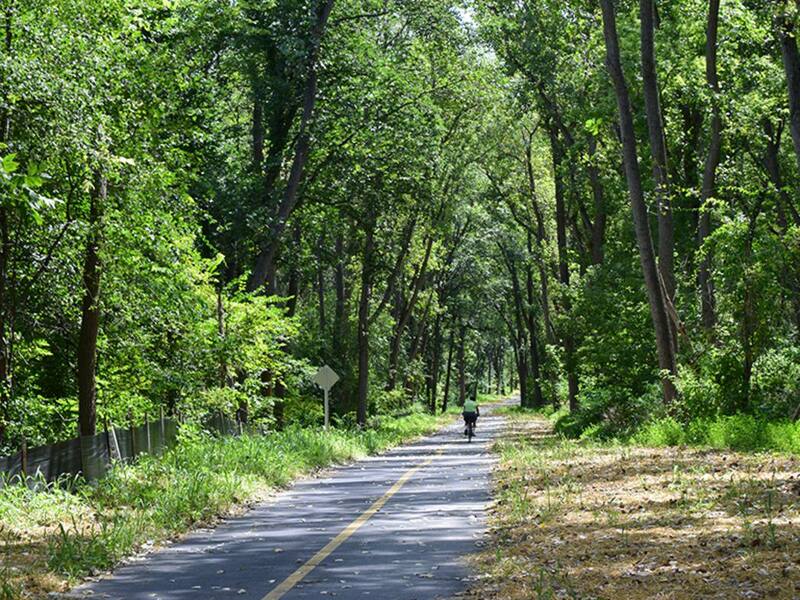 The southwestern suburbs surrounding the forest preserves in the Palos Trail System are already the envy of the Chicago area when it comes to biking trails. Get ready to be even more envious. 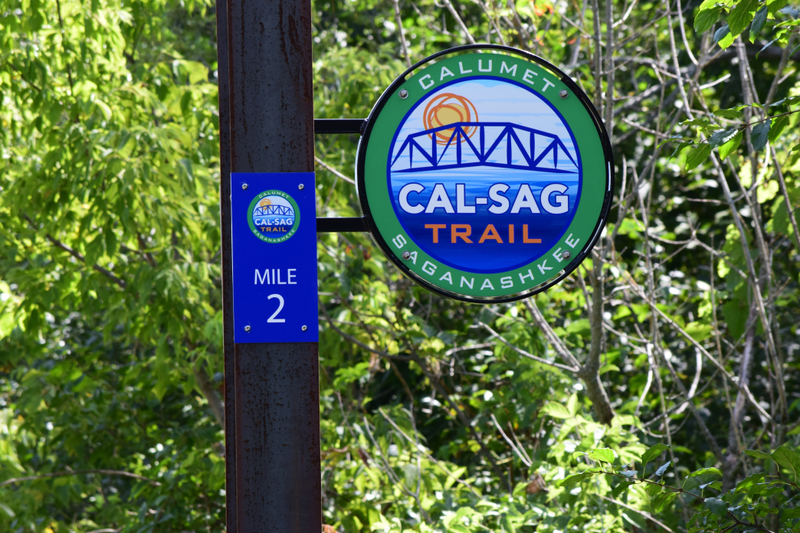 This summer marked the opening of the Cal-Sag Trail, a projected 26-mile trail that stretches from Route 83 near Lemont, IL, to the Burnham Greenway near the Indiana border. 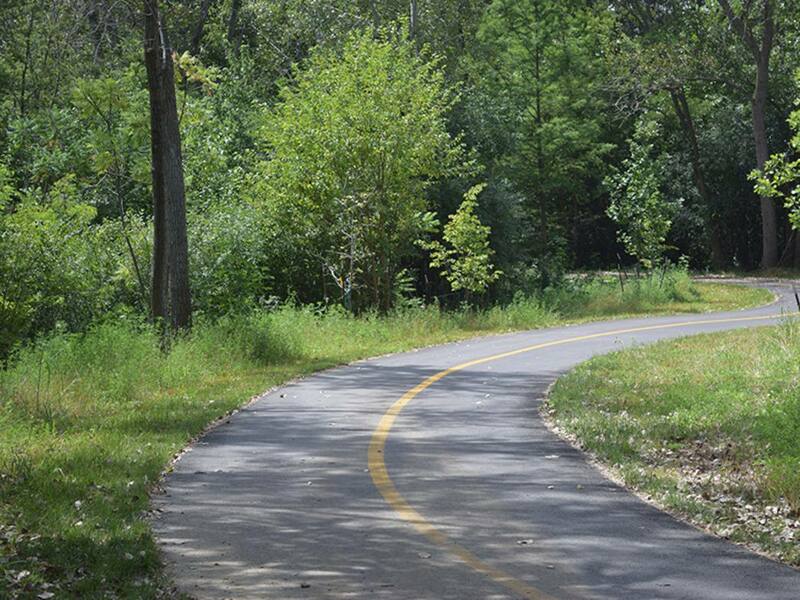 When completed, the trails open up access to all the off-road trails of Palos to a lot more people to reach via bike. It will also serve as a great example of how to take former industrial space and turn it recreational space. The first 13 miles of the trail officially opened on June 6 (coincidentally, the same day as Chicago’s 606 trail opened). The remaining 13 miles that will connect Alsip to Calumet City are still a work in progress, with the entire trail is expected to be completed in the next one to two years. 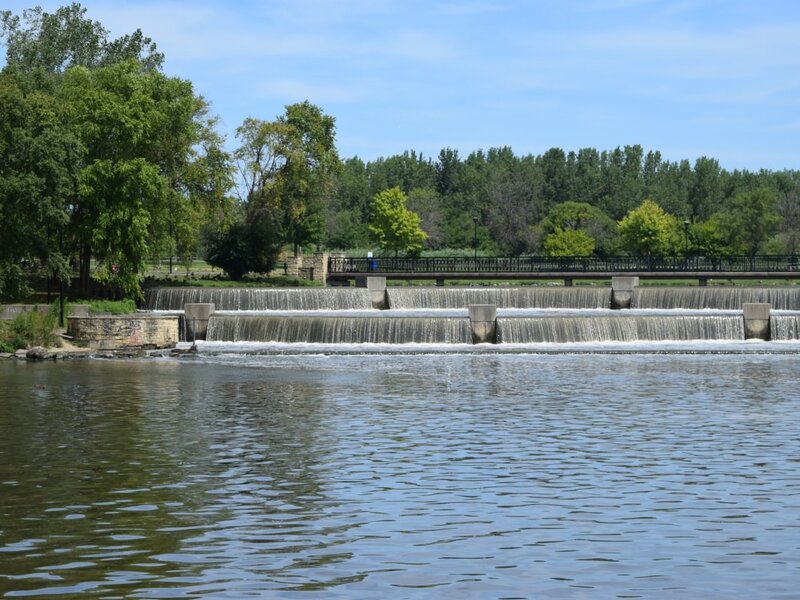 A multi-use path along the Cal-Sag Channel and Calumet River has been an idea that’s been talked about since the 1970s. Federal funding, which has paid for about 80 percent of the trail thus far, finally game through in the last decade. 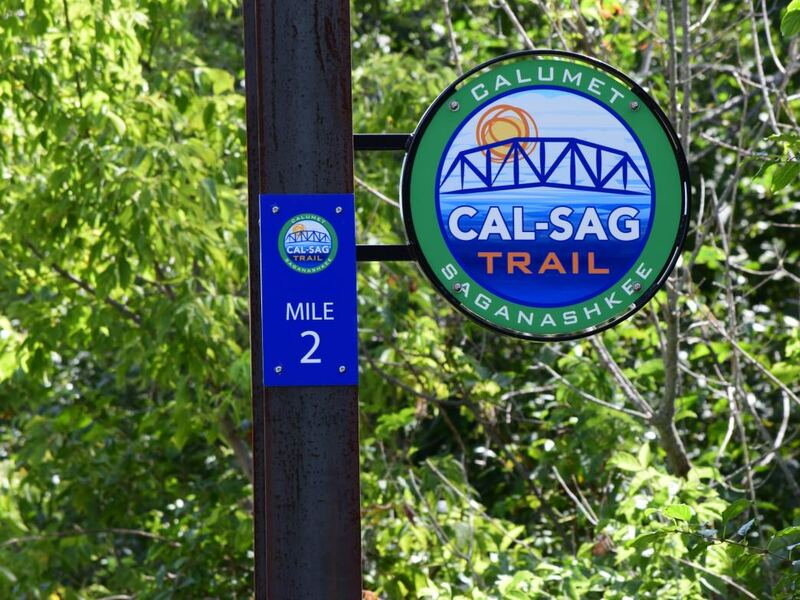 Local funding from communities along the trail and fundraising from the Friends of the Cal-Sag Trail have raised the rest of the money for the project. When the trail is complete, more than 185,000 residents will live within one mile of the trail, according to trail organizers. So how does the 13 miles of trail look so far? Is it worth a trip if you aren’t one of those people within a mile of the trail? Let’s start with the good: While the first section of the trail still has a few kinks to work out, it’s in great shape and offers for the most part a fun trail that offers an easy way to put in plenty of miles. The trail is nearly all asphalt, with a yellow line down the middle to separate east- and west-bound traffic. It’s a nice variety from the crushed limestone trails that dominate the forest preserves in most of Chicagoland. Large signs that mark every mile are impossible to miss, and they also have a full map of the trail on them, making it easy to see where you’ve been and where you are going. Most of the time you’re within sight of the Cal-Sag Channel but usually separated by a row of trees. The first three miles of the trail are rather exposed prairie. Great for views (and you definitely get a nice sense of isolation, as you are surrounded by forest preserve), but you are exposed to the wind and sun. Between mile makers 4 and 5, the trail becomes tree-lines and offers my favorite section—lots of up-and down terrain as the trail goes down closer to channel level to go under bridges—which is beautiful and fun to ride. You also have access to additional trails at Swallow Cliff Wood and Teason’s Woods. Just past mile 7, you exit the forest preserves and the trail runs along roads in Palos Park. The signage isn’t bad, but one sign is still missing along Route 7, which makes the trail ambiguous (at least it was for me). Turn left just before Fuller’s Car Care and you’ll connect with the trail after about a quarter mile—signs are easy to spot this time. But around mile 9, the trail gets back to a much more enjoyable route, with a tree-lined path running parallel to the Cal-Sag Channel again. You’ll hit the Lake Katherine Nature Center (another good place to park) and continue east through Palos Heights and all the way to Alsip’s Freedom Park, where the completed section of the trail ends. Turn around and you’ve got a nice 25-mile bike ride, with only those few miles in the middle going through Palos Park to slow you down. As for the drawbacks—while the signs that were finished were excellent, a few weren’t done yet, which caused me to wander off the trail twice. But those should be fixed shortly. I wasn’t impressed with the connections to the forest preserves north of the trail. I’m sure those will come as well, as should a connection to the Waterfall Glenn Forest Preserve on the western edge of the trail. I’m sure water fountains exist within access of the trail, but I didn’t find any on my trip. But that being said, mine was a quick 25-mile ride to explore the trail. The area just begs to be explored, to find those connector trails and access points that will open up a wide range of cycling trails. It will sure be a lot of fun. Just wait until the full 26 miles of the Cal-Sag are finished to open up Indiana as well.